After radical leftists blocked his lifetime achievement prize, Ariel Zilber gets same prize from a different prestigious organization. Legendary Israeli singer and composer Ariel Zilber on Wednesday was awarded the 2016 lifetime achievement prize by the Israeli Union of Performing Artists (IUPA). Other winners of the prize include Shlomo Bar, Rivka Gur, Yehonatan Geffen and other famous singers whose songs have been beloved in Israel for decades. IUPA also granted a special recognition of honor to the producer Oded Feldman. Zilber in early 2014 was due to win a lifetime achievement prize from ACUM (Union of Composers, Writers and Publishers in Israeli Music), but the prize was shot down by radical leftists. Leftist singer Achinoam Nini announced she would not accept a prize from ACUM so long as Zilber was being honored as well. At the last moment ACUM chose to change the award from a lifetime achievement award to a "contribution to music" prize, under pressure from Dalia Rabin, daughter of assassinated Prime Minister Yitzhak Rabin. Rabin, a member of ACUM’s board of directors, like Nini expressed fierce opposition and bias against Zilber because of his right-wing religious political stance. As he got up on stage to accept the ACUM "contribution to music" prize, Zilber said that ACUM should be shut down and a new union be established that respects anyone, regardless of their political opinion. 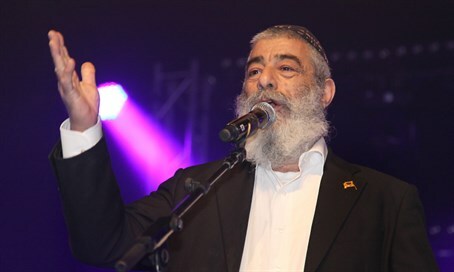 Then Foreign Minister Avigdor Liberman also criticized ACUM’s decision, saying, "the capitulation of ACUM and the decision to give Ariel Zilber a prize only on his contribution to Israeli music instead of a lifetime achievement award is a dangerous submission and flattery of the Bolshevism of radical leftists."